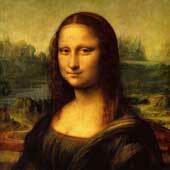 Mona Lisa, also known as La Gioconda, is the wife of Francesco del Giocondo. This painting is painted as oil on wood. The original painting size is 77 x 53 cm (30 x 20 7/8 in) and is owned by by the Government of France and is on the wall in the Louvre in Paris, France. In his Mona Lisa, the individual, a sort of miraculous creation of nature, represents at the same time the species: the portrait goes beyond its social limitations and acquires a universal meaning. 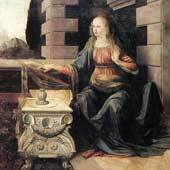 Although Leonardo worked on this picture as a scholar and thinker, not only as a painter and poet, the scientific and philosophical aspects of his research inspired no following. But the formal aspect - the new presentation, the nobler attitude and the increased dignity of the model - had a decisive influence over Florentine portraits of the next twenty years, over the classical portrait. With his Mona Lisa, Leonardo created a new formula, at the same time more monumental and more lively, more concrete and yet more poetic than that of his predecessors. 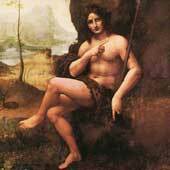 Before him, portraits had lacked mystery; artists only represented outward appearances without any soul, or, if they showed the soul, they tried to express it through gestures, symbolic objects or inscriptions. The Mona Lisa alone is a living enigma: the soul is there, but inaccessible. 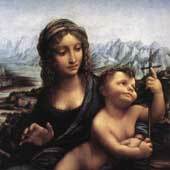 Although da Vinci began work on his masterpiece while living in his native Italy, he did not finish it until he moved to France at King Francois I's request. The French king displayed the painting in his Fontainebleau palace where it remained for a century. Louis XIV removed it to the grand Palace of Versailles. At the outset of the 19th century, Napoleon Bonaparte kept the painting in his boudoir. Da Vinci's famous masterpiece is painted on a poplar plank. Considering he was accustomed to painting larger works on wet plaster, a wood plank does not seem that outlandish. Canvas was available to artists since the 14th century, but many Renaissance masters preferred wood as a basis for their small artworks. After the Louvre launched a four-year, $6.3 million renovation in 2003, the painting now has its own room. A glass ceiling lets in natural light, a shatter-proof glass display case maintains a controlled temperature of 43 degrees F. and a little spotlight brings out the true colors of da Vinci's original paints. People have come up with all sorts of theories about the painting, some educated and some downright silly. In 2010, members of the Italian National Committee for Cultural Heritage announced that microscopic scrutiny of the work had revealed new discoveries. In the madonna's right eye, the artist's initials L.V. appear. Over the centuries, French officials have only rarely let the painting out of their sight. However, when first lady Jackie Kennedy asked if the painting could visit the U.S., French President de Gaulle agreed. 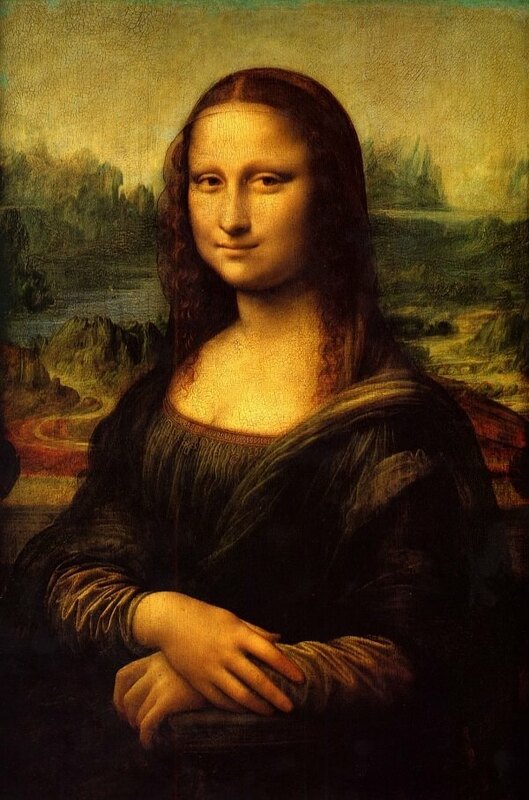 "Mona Lisa" went on display at the National Gallery of Art in Washington D.C. and then at the Metropolitan Museum of the Arts in New York City. Although in the art world, the painting had always been an acknowledged masterpiece, it wasn't until it was stolen in the summer of 1911 that it would capture the attention of the general public. Newspapers spread the story of the crime worldwide. 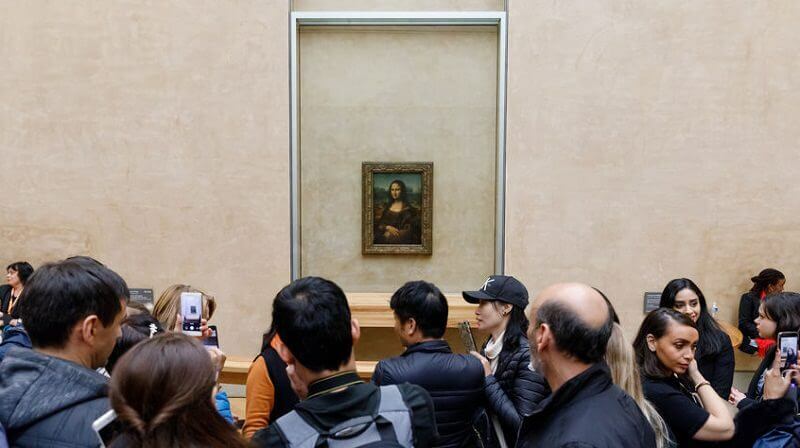 When the painting finally returned to the Louvre two years later, practically the whole world was cheering. 7. Picasso was under suspicion for the theft. During the investigation, the gendarmes went so far as to question known art dissidents such as Pablo Picasso about the theft. They briefly arrested poet Guillaume Apollinaire, who had once said the painting should be burned. Their suspicions proved to be unfounded. Since the painting first arrived at the Louvre in 1815, "Mona Lisa" has received plenty of love letters and flowers from admirers. She even has her own mailbox. 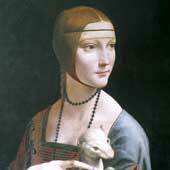 Various vandals have tried to harm da Vinci's famed masterpiece, and 1956 was a particularly bad year. In two separate attacks, one person threw acid at the painting, and another individual pelted it with a rock. The damage is faint but still noticeable. The addition of bulletproof glass repelled subsequent attacks with spray paint in 1974 and a coffee cup in 2009. Truly priceless, the painting cannot be bought or sold according to French heritage law. As part of the Louvre collection, "Mona Lisa" belongs to the public, and by popular agreement, their hearts belong to her.